Calsonic Kansei UK Limited, an automotive manufacturer based in Llanelli, has been prosecuted by the Health and Safety Executive, after the tragic death of one of its workers due to an accident at work. On the 17th March 2008, 35-year-old Darren Small, a father-of-two from Loughor, was working at the firm’s factory on Llethri Road, on the day he was due to take voluntary redundancy. After delivering instructions to a fork-lift truck driver, Mr Small was accidentally run over as the fork-lift truck reversed. Having been knocked to the ground, Mr Small was rushed to hospital with serious head injuries but, sadly, he died several days later. Calsonic Kansei UK Limited was fined £400,000 and ordered to pay costs of £44,790.14 at Swansea Crown Court, after pleading guilty to breaching Section 3(1) of the Health and Safety at Work etc Act 1974. After the court hearing, Mr Small’s family released an emotional statement. The statement read: “Darren was such a fabulous, lovely and kind-hearted person and a really devoted father. To die on the day he was due to have taken voluntary redundancy is even more tragic. Time does not heal. We all miss him so very much and his children are still finding it extremely hard to cope with losing their loving father. 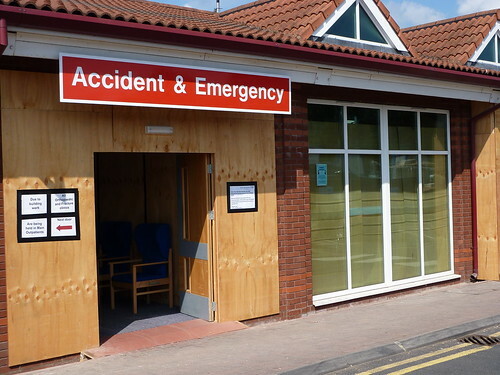 Personal injury claims are often brought against employers following accidents in the workplace. Manufacturing in the UK causes many deaths and serious injuries each year, which is why the role of the Health and Safety Executive, to encourage employers to uphold their duty of care to employees, is so important. In the present case, Mr Small’s death could have been avoided if steps were taken to separate pedestrian and vehicle traffic in the factory. Next post: Does your spouse have a hidden life (of debt)?